How do you balance doing the work yourself versus managing your team? When do you hire a design specialist versus a generalist? How do you keep clients happy and build a lasting relationship? These are the kinds of questions we’ll get to ask of Debbie Bates-Schrott, founder and CEO of Bates Creative. Debbie will share her insights from her sixteen years of experience owning Bates Creative. Be prepared to ask questions! This event is part of the Business of Design series which seeks to help creatives with professional development and workplace knowledge. From small businesses and freelancers to in-house and agencies, we want to help you grow. AIGA DC Salons are free, intimate roundtable discussions open to AIGA members only. Check your AIGA membership status at AIGA.org before registering. Want to enjoy this member benefit? Join today: http://www.aiga.org/join/. This event is held on the lower level and is not wheelchair accessible. Debbie Bates-Schrott, CEO and Founder of Bates Creative, has 25+ years of experience on branding, print and digital strategies. Her visionary perspective on cutting edge design initiatives guides her Bates Creative team as growing thought leaders in the media landscape. Debbie founded Bates Creative—a WBENC and WOSB certified agency—in 2003, and has successfully guided the agency’s progressive drive in the digital design spheres to year-over-year growth. Debbie’s active role in the marketing community along with her engagement in strategic partnerships has positioned her as a sought after speaker. 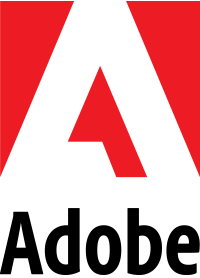 Her presentation experience on marketing, branding, editorial and digital transformations has taken center stage at Adobe events, The American Marketing Association conferences and FOLIO Show. Debbie often collaborates with Bates Creative clients to present at local seminars and national conferences alike. Several past speaking engagements have featured clients including NACS, The National Business Aviation Association, ASIS, Heifer International and the Air Force Association. Prior to launching Bates Creative, Debbie co-founded a graphic design agency before the age of 30. A graduate of The Corcoran College of Art + Design, Debbie also serves on numerous boards, including her active role as Chief Creative Officer for the DC Chapter of the American Marketing Association. She previously served on the boards of Association Media and Publishing, International Association of Business Communicators, and Art Directors Club of Metropolitan Washington. Debbie has also been recognized with the prestigious FOLIO: Top Women in Media award for her achievements as a Leader.